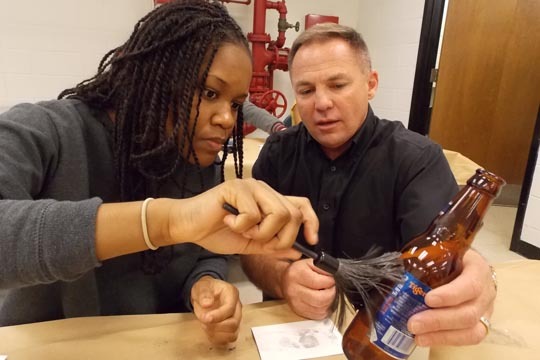 A judge, computer forensics expert, FBI agent, attorney, police detective, state trooper – when you take Tidewater Community College criminal justice (ADJ) classes, you learn from those who have been there, done that. To add to this real-life education, a new forensics lab opened on the Virginia Beach Campus in fall 2013. The lab gives students the opportunity to experience hands-on learning with the latest in forensics technology, as it relates to fingerprinting, blood, shoe impressions, castings, photography, facial recognition software and more. The Associate of Applied Science in Criminal Justice is a 66-credit program that prepares students for careers in law enforcement. Class offerings include criminology; criminal law, evidence and procedures; law enforcement organization and administration; introduction to corrections; the juvenile justice system and a supervised study that includes an 80-hour internship with local police departments or court systems. Antonio Passaro, program head at the Norfolk Campus and a retired special agent for high-tech crimes for the Virginia State Police, has reactivated and revised ADJ 247, which is a psychological behavior class, as well as ADJ 231, community policing. “It’s important to keep the conversation going between law enforcement and neighborhoods, and this class shows ways to do just that,” Passaro said. Hammack, Richard Smith and Shawn Allen. 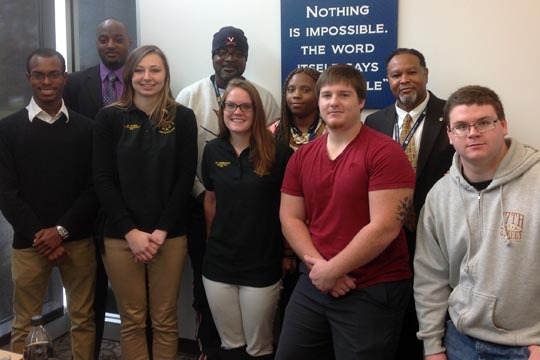 Students involved in the criminal justice organization participate in a range of activities from a campus clean-up to meeting with a Norfolk judge in federal court. They also toured all TCC campuses and completed a Crime Prevention Through Environmental Design survey; during the activity they looked at lighting, security and other areas to determine that TCC’s campuses are indeed safe. works with students during a scenario. All criminal justice program heads agree that in law enforcement, thinking on your feet is critical. In every classroom across the college, faculty members lead students in mock scenarios, where they practice making quick decisions that will protect the public. “These scenarios are where the rubber meets the road,” Pearsall said. 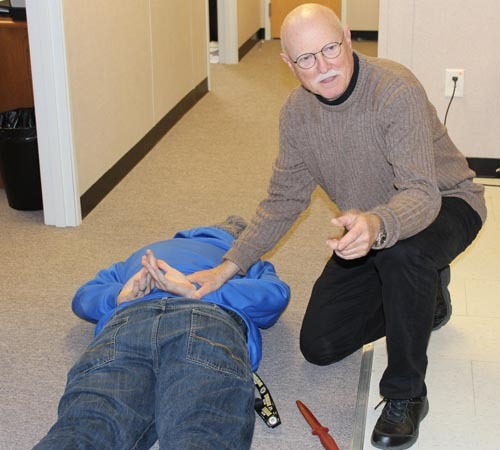 “We spend plenty of time on our feet, working with training weapons and conducting practical scenarios to teach students how to respond in different situations,” Passaro added. At the Chesapeake Campus, students advance their learning using the campus firing range simulator. “Selected students are taught by a Chesapeake sheriff, under very close supervision,” Pearsall said. The range class teaches firearm safety, familiarization and introduces students to the equipment used in local law enforcement.